Discussion in 'Hustles, Freelancing, Bootstrapping' started by Fox, Sep 7, 2016. It has taken me a long time to have time to create this thread and for that I apologize. I have been getting PMs for months and while I helped a lot of you out with detailed responses I wanted to start a thread so everyone would have access to the same information. Back at the beginning of the year I packed up everything I owned in Canada and moved to South America. I was keen to make enough income to stay down there while also building my own Fastlane business. Problem was I had no online skills, no idea what to do and have never ran a successful business before. I just launched my business last week and I am still down here living happily so I guess I could say things have gone very well. Hopefully this information helps others achieve similar success and allows them to start pursuing their dreams. - I started with zero coding knowledge in January of this year. I didn't know how to host a website, I didn't know what HTML or CSS was, I made a tonne of really basic mistakes and figured it all out by myself. I didn't take any expensive courses, had no mentors and probably only spent a few hundred dollars getting set up. It took me a while to refine my niche but what I now focus on is building simple yet powerful websites that get huge results. No crazy interactive code, no fancy graphics, just simple, clean, professional websites that add huge value to the clients who hire me. While I made good money on these websites its nice to know that the value I added is many times more and all my clients have been very satisfied. I am still in the early stages of figuring this all out though so as this thread goes along I will still update with what I am learning and what has changed. Right now my problem is scaling, I need more top sales people on the ground selling websites for me. I will come back to this in another post maybe. So todays lesson is on how to get started at the very start. You know nothing and you want to get in on this action too. Some quick notes - I build "custom" HTML websites 99% of the time, I don't use wordpress except in some rare cases for add on blog/news sections to my sites. Why? Most of my clients are very busy, non tech people. They don't want or have time to update their websites. They want it built well and they want it to run itself. HTML is a lot better for this and when done right looks way more professional. 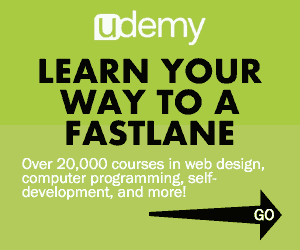 Take the HTML and CSS lessons on https://www.codecademy.com/. You can also do the JS section but I didn't and have been just fine. After this you will now know how to edit and work with HTML themes. What does that mean? Well there is no point creating a website from scratch. That takes years of coding experience and a lot of time for each new clients. Luckily enough people have gone and created HTML themes - its an already coded website where you just rearrange, switch out the pictures and text and add in a few extra bits (I will show how to do all of this at a later stage). It just a blank slate with a certain style that you work with. While this may seem like strange or cheating (I thought this was how to learn to build websites!??) its not. Anyone with an internet can create a website these days so that is not where we will be adding value. We add value by building a website with a purpose. We want to build websites that get results and make money, or whatever they are trying to achieve, for the owner. So how do you build a website that gets great results? As @Andy Black would say you want sales not a website. I am going to meet him half way with you want to build a website that gets sales. Not a website that looks amazing, has cool videos and sections, talks about the companies recent gold tournament or how they really wanted to do X since they were 5. Now it might do one or all of these things but only IF it helps gets sales. Every page, link, click and action on the website is to help facilitate the growth of the company and sales. Is the goal of the site to teach you about immigration law? Is it to show you stats of work, trade and education within the country? Is it to teach you about what to do when you first arrive, what to pack, what to expect? The whole purpose of that website is for the user to either book a consultation or contact them regarding their services. Which both lead to that person hiring them as their immigration lawyer. Now it might use some of the above to help with that goal but it only has one main purpose. Everything we do for that client must help with that goal or if it doesn't help... be removed. You are going to learn to take the value of threads of here regarding copywriting, sales and the Fastlane Mindset and apply it other peoples businesses to help them achieve massive results. This just happens to take the form of a website. You are really selling sales and results. Once you sell results there is no limit to what you can charge and achieve. If you have read all this and want to start follow the above links, compete them fully and then follow along with the next stages. 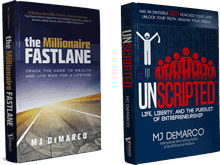 There will be a lot to cover but I will outline everything you need to know to be making over $10,000 a month with 6 months*. *Assumes actual work ethic, being able to do some learning by yourself and filling in the gaps. I will give advice but I won't be holding anyones hand step-by-step. Bradley R, c.dream87, redplant and 364 others like this. This is wonderful. Thank you, Fox! I had the same thinking regarding the usage of themes - but in the end it boils down to what you've said: we are not adding value by building a beautiful website, but by generating sales for the client. Rodrickee, LittleJohn, SMH and 11 others like this. So how can you make decent money with limited web skills, only a few weeks/months experience, and just a simple laptop? The types of clients you help. Imagine for a second the website you build will only ever generate one sale per year. Maybe only one sale ever. Client one: Jimmy & Friends Coffee Shop. One sale is a cup of coffee or maybe if they are lucky a lunch special. One sale profit: $3-10 profit maybe. Client Two: Jimmy & Co Travel Agency. Maybe that one sale is a trip to Paris, or maybe even a round the world one year break. Profits on travel are slim though and the internet is really driving down those juice margins. One sale profit: $150- $1,000 profit maybe. Client Three: Jimmy Inc. Industrial Clean Up Services. One sale of a large scale clean up at that oil refinery this winter... Maybe $500,000 to $4 million. Maybe more. Now when it comes time to sell websites you always say you aim to get your clients ten times the results that they invest in you. Client Three: You can justify $50k to $400,000. Same amount of time dealing with the client, same amount of time coding, same amount fo time hiring a pro photographer. Very different result. The first four are my favorite. Unsexy, boring, aggressive clients, large contracts. "Hey Mr. Fox but what about tech start ups and that new app, they are making a zillion dollars. Lets go build for them!!!" Your aim is to become a problem solver for large, boring, industrial companies that know nothing about the internet and want to deal with a "regular guy" to fix that website. Soon I will go over how to get your first few jobs and also how to find these clients (super easy). Sneak peak... I don't use upwork or any other slave labor website. I go direct or hire sales guys who go direct. Bradley R, c.dream87, redplant and 162 others like this. Its taking away from the clients value by spending so much time coding from scratch when there are many solid base templates to work off. My websites are definitely not cookie cutter but I do like to build upon clean code and then customize from there. How to think about your work, the value you add and price your jobs accordingly. c.dream87, redplant, fmob007 and 60 others like this. Are your clients local in Columbia? Or do you work remotely with them? I've found it much easier so far to secure clients when you're able to meet them in person. Wondering what your experience is with this. chrisperisteri7 and Edward1975 like this. I had one client in Colombia but never again. I focus 90% on Canada and 10% on Europe the US. More money, better to deal with. I lived in Canada for three years so that gives me a good in with businesses there. Its where my sales guy is based too but 50% of my sales come directly from me. Working with clients remotely has been fine. Over Skype and emails it is possible to do everything and I have a good system in place. Finding clients is a little tricker. I use as much referrals as possible and try find new companies that will know who my past clients are. I take 50% up front and 50% on completion so its important to have a lot of trust before someone wires me a few thousand dollars. My company is based in Canada and all my paperwork runs through there so apart from me actually being physically in Colombia its a Canadian company. This is also where my sales guy comes in handy. He has been great with dealing with clients in person and setting things up like photographers. He didn't know anything about websites until I took him on and he is making 2-4 K a month for a few hours work. I pay good commission to keep him on board, 20-25%. Moving forwards I would like two sales guys in the US and maybe one in Ireland or Europe ( I am Irish) too. I am working on this at the moment. If a client ever asks about the set up and just explain why I live down here. Most are really curious and a little jealous ha. Also even if I lived in the same city its not like I would be calling in everyday to collect photos and get feedback so its pretty much the same process anyway - Skype / Email. In the future I will try get some cold calls, email templates, quotes up here to show how I manage sales/work flow. redplant, dru-man, Justin H and 39 others like this. Finding clients is a little ticker. I use as much referrals as possible and try find new companies that will know who my past clients are. If a client ever asks about the set up and explain why live down here. Most are really curious and a little jealous ha. Also even if I lived in the same city its not like I would be calling in everyday to collect photos and get feedback so its pretty much the same process anyway - Skype / Email. This is my first month really focusing on this. I already have a successful ecommerce business and am using this for 2 reasons: 1. To raise more capital to invest in my ecommerce business, and 2. To actually turn this into a legit business too since my ecommerce business still leaves me with free time and I enjoy the whole process of helping businesses and building websites. Biggest difference I've noticed so far with b2b compared to consumers....don't just try to get every customer you can. Screen your customers and choose which ones are right for you. I'm used to just trying to get every possible customer I interact with and realized very quickly this is the wrong approach. Even with my advertisements. I've placed ads in newspapers so far (lots of older, non tech savvy business owners as audience), with great response rates (because that's what I was aiming for). Because of my ad and offer being created with the goal of attracting the most customers possible, I've also attracted a lot of cheap leads. I'm going to change my ads very soon, and it'll probably reduce my response rate, but I expect to get better leads. Bottom line for b2b: Don't attract the most customers, attract the best customers. This has been my biggest lesson and obstacle so far in my first month, and what I'm currently working on: getting better, higher quality leads/clients and weeding out the other ones fast. redplant, fmob007, WillHurtDontCare and 45 others like this. Even with my advertisements. I've placed ads in newspapers so far (lots of older, non tech savvy business owners as audience), with great response rates (because that's what I was aiming for). Because of my ad and offer being created with the goal of attracting the most customers possible in mind, I've also attracted a lot of cheap leads. I'm going to change my ads very soon, and it'll probably reduce my response rate, but I expect to get better leads. Excellent advice and something I will cover in more detail too later on. I have a large mental checklist of who I want to work with. I "fired" a few clients a few months ago and that was one of the best moves from moving from low thousands to 10k+ a month. I am still moving up the ladder but eventually I want to work on sites that are at least 20k spend. c.dream87, astr0, WillHurtDontCare and 16 others like this. Definitely a GOLD thread. So much value here. P.S. purchased that Udemy course since the last time we spoke. BrooklynHustle, Paul Thomas, FastNAwesome and 8 others like this. While $15k+ a month (sales) might sound like a lot its not really. Its enough. Enough to invest in my real businesses and cover my basic living costs. Not every month is clean profit. I reinvest a lot of money into education, design and growing. Things go wrong and learning from scratch is hard work. Some jobs run overtime, some things I have to do twice, or three times or more. I am not sipping cocktails on some beach while I go code once or twice a week on a hammock. I am sleeping on a mattress with a desk, white boards and notepads in the corner. I code 8 - 10 hours a day and also spend half the morning at Uni trying to learn Spanish. This is a crash course on entrepreneurship while you earn money. You have to learn to sell, cold call, manage, outsource, and so on. Everyday. Coding websites is time intensive by nature. If you are looking for easy money this probably isn't it. If you are looking to learn about business really fast though while funding and learning how to grow your own business this is excellent. Maybe in a few more months it will be more smooth but everyday right now is a full on grind. I love it though and have seen huge growth in a short time but its not for everyone. Just want to add that in before someone thinks this is some overnight hack plan. GrandRub, Tony Tong, c.dream87 and 75 others like this. Did you ever think about hiring another web developer? Or do you want to keep it a "one-man-show"? I really enjoy the coding process and to be honest I have a good eye for design. I have been outsourcing some other areas though like copy, sales, Wordpress and logos etc. Very helpful so far have been @Andy Black @SinisterLex and @Thiago Machado. They have worked on some projects and all done a great job. next year when I don't have Spanish in the mornings and I scale more I will be outsourcing these areas more too. c.dream87, redplant, WillHurtDontCare and 20 others like this. Outsourcing Copy seems to be really helpful. My major problem at the moment is that clients need like forever for providing me the texts and images that they want to have on their website. This seems to be a real headache for the clients, too. So, I think it would be helpful to find a good german copywriter and providing this as another service. dru-man, mivanov, jasoncuellar123 and 2 others like this. Yes. I've had to start doing the landing pages to go with the AdWords campaigns I build - because the client is so slow or bad at getting it done. Big_Benny, UncommonWay, FastNAwesome and 7 others like this. Great thread. I have a few questions, and forgive my ignorance if they're a little redundant. How do you quantify what to charge for these websites? When you quote the company initially, do you have a general idea of what time cost it will require and base off that or do you have another method of determining the valuation? Secondly, how do you find these companies? Do you look for companies that have poorly designed websites or no website at all? If the former, I know of a few in your target industries that I can point your way(all located in Canada). No such thing as a dumb question. I justify my price by the value added. I don't work by the hour - its all done by the job. The book I linked in a post above is great for how to approach this with clients and get around the concept yourself. If I make a simple website but it produces huge results then I justify only charging a small % of those results. In general 1-2k for a one page website, up to 6k for a six page website, 10-15k for something that will take over two weeks. I think its a bargain for the results I get and the level of detail my sites have when they are finished. If you have a lead then get in touch over PM and if it works out I will give you 20%. That means you have actually talked to someone in a company and you have them warmed up to the idea of a new website. As for finding companies that could need a new website its very easy. In fact its probably one of the easiest services to find potential customers for. Job formula: Google... "niche industry" + "local town" and go through the first few pages of results. Anything that looks below par is suitable. I try go for companies that are clearly doing well but haven't updated the website in 3-6 years. You can usually tell by the date in the footer. Probably a 4k job. Nice thing is he is ranked high on Google but has a poorly converting site. I don't have to focus on SEO or convincing him people will visit since its already on the first page. All he needs now is good copy, images and a clear path of desired action for customers to take. I would probably start the phone call off with that. You could do that all day and not run out of companies that need a better website. redplant, Rajae, astr0 and 58 others like this. All of these guys need new websites. Maybe 2-4k each. "Hello, you are literally losing thousands of dollars a year, maybe every month, by not having an up to date website. I can have a fully functional website online by next week that gets you a LOT more calls, looks good on a phone and ranks better in Google. Here are the last four jobs I did in Alberta.... "
Will-v-the-World, ChrisB7, astr0 and 47 others like this. So do you cold call these companies? Email? Both? What is your typical response rate and conversion rate for your method? You said you have a sales guy helping out too - could you elaborate on your process involving him? How you found him, full-commission or not, etc. Have you experimented with b2b appointment setting services yet to scale this? I was actually referred to www.prospecthunter.com for this method. Actually going to call them tomorrow. Justin H, Leo Hendrix, Nicoknowsbest and 1 other person like this. Awesome thread thanks for sharing. Great thread. I'm torn on whether to learn how to build websites or not. I see a lot of people say you can outsource, but this thread makes a lot of good points in showing how much money there is to be made individually by helping update or build websites for businesses. How many hours a day/week did you spend learning to code in the initial 9 months? Edward1975, sierraxluz, Deri and 1 other person like this. You can literally learn the basic syntax of HTML and CSS (structure and style of a site) in a day - enough to know how and what to edit to make desired changes, looking up certain properties, etc. as needed. Note: I know @Fox recommends straight HTML templates - once you know a little about sites, you can decide for yourself which you want to go with and why. I personally prefer WordPress (but only with the right premium themes and tools/plugins). I have the StudioPress "Pro Plus All-Theme Package" (http://my.studiopress.com/pro-plus/) and have started using the Genesis framework with BeaverBuilder (and the Dambuster plugin) as per @codo3500 's recommendation, and you can customize virtually even aspect of a site with almost no code, although this set up makes it very easy to make custom changes using CSS and JS if necessary. Even if you know how to code, I've found this set up to be faster. So to answer your question....maybe 1-2 weeks for what you'd need initially to get started. While you won't usually need to code anyway, it's good to know if you're doing this stuff. Justin H, Blu H, Divine_Joker and 33 others like this. This thread is a goldmine of information when it comes to what you do. I really appreciate you taking the time to share this information with us all. I do have a question though. Looking at the towing websites you listed above. Some of them aren't "bad" but not necessarily anything that would blow me away. Like they look clean(except the last one), have relevant information, fairly modern, links to social media. I guess I don't have an eye for design, but how would you change these for the better. I know you are changing for SEO and to convert more but if I were searching for a towing company I wouldn't judge them too harshly on their web page. So I guess my question is, how do you convince the business owner who has a decently functional web page to upgrade? A lot of the industries you mentioned seem to be less about "flash" and more about functionality. Again, thank you for all this info. You've kind of inspired me to pick up my web design/development studies where I left off. astr0, sierraxluz, WTF and 11 others like this. I did a job recently with a WP back-end and used the WordPress REST API (Version 2) plugin to open my data. Used an HTML template and jQuery/AJAX to pull the JSON from the plugin. End result was a lightning fast website with an easy to use backend for the client. I white label all my WP installs as well. People like seeing their logo up top. Using this system you can use any HTML template as a WP front. EDIT: Make sure if you do this to not use shortcodes. WillHurtDontCare, Justin H, karnn and 13 others like this. Signed up for Code Academy and purchased the Udemy, thanks for the recommendations. I'll be going through those on the side since I'm pretty busy with my current business, but I can't resist because I am a learn-a-holic lol. Even if I never build a site for a client I feel like just having some basic techie ability is a fundamental skill-set these days that can open doors along the line somewhere, even if it means communicating more effectively with contractors, developers etc. Rajae, Justin H, Rodrickee and 9 others like this.